TadpoleHitler.com started a little over a week ago after the first episode of Derek aired. I loved the show and wanted to start a fansite but I had no idea what to call it. 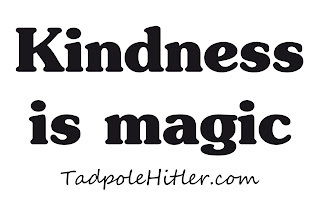 On seeing the hashtag #tadpolehitler trending on Twitter I got my inspiration and since then the website, the Twitter account and Facebook page have been so successful thanks to Ricky's retweeting, Holli's interview, Channel 4's support and you guys - the fans. You have been so brilliant. You've sent me my logo, dozens of unique pieces of Derek art, hilarious tweets and emails. You've helped me fill these pages! Please see their website to see the great things they do. 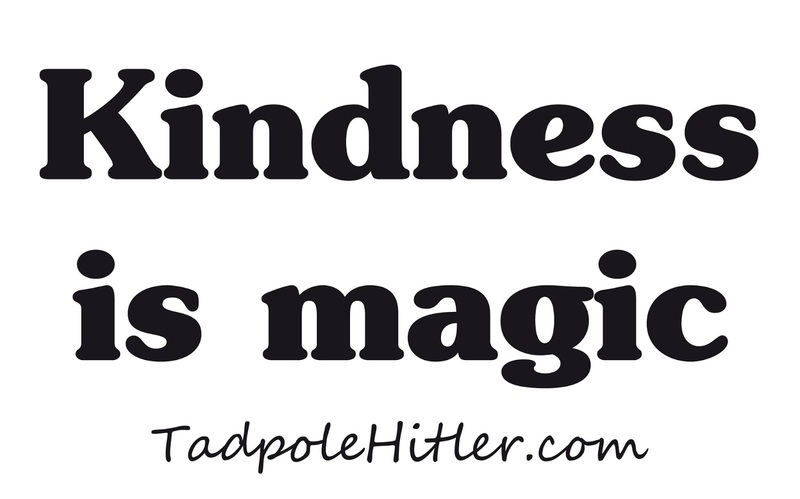 To donate to Kindness is Magic - The Derek Fan Fund, visit our Just Giving page at: www.justgiving.com/tadpolehitler. Don't think about it, donate £1 now. One pound really does make all the difference.